An InMotion affiliate has one of the best promotions for hosting referral offers with world-class features, customer service, and name-recognition. The company has consistently topped CNET’s certified award for service and holds an A+ BBB rating. Features for several options include unlimited bandwidth, free data backups, SSL, and server management. InMotion offers a 100% guarantee, 99.99% uptime, and continual innovation through technology investments and open source. The InMotion Affiliate Program lets partners earn up to $120 per referral with performance boosts. How much can you earn as an InMotion affiliate? As you can expect, the InMotion program is complete with tracking and marketing tools. This allows deep linking on any page, a 90-day tracking cookie, and regular affiliate bonuses/giveaways. Their dedicated affiliate team is quick to answer questions and comments helping affiliates succeed. When we consider InMotion Hosting we must weigh the product catalog with its affiliate program. The product & services are top-notch and competitive to every web hosting provider. 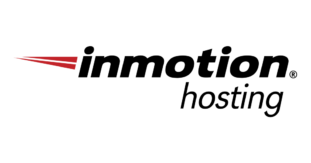 This gives you a safe bet if you choose InMotion as your primary hosting affiliate source. On the backend, the program, we notice all the hallmarks of a solid opportunity minus lower payouts set to tiers. Several competitors pay higher affiliate earnings for lower tiered sales. What’s the run-down about the InMotion program? InMotion Hosting provides world-class solutions at affordable prices. A new user will have ample features and support to launch their site. Veteran webmaster’s value from their services, too, placing them on par with other, major competitors. We think affiliates have a lot to gain from the InMotion program with its high payouts, incentives, and affiliate support. But, its high sales tiers and limiting sales types place some competitors ahead. If InMotion opened to domains, services, and tools then it would make them a number one pick. In all, should you join the InMotion program? Certainly. The difference between hosting providers is closing making your pick in InMotion dependent on your experience with the platform and services. If you use their services, go for it. If not? Still consider sharing them as a popular alternative.